A few weeks ago, I caved and made an order on Nail Polish Canada. 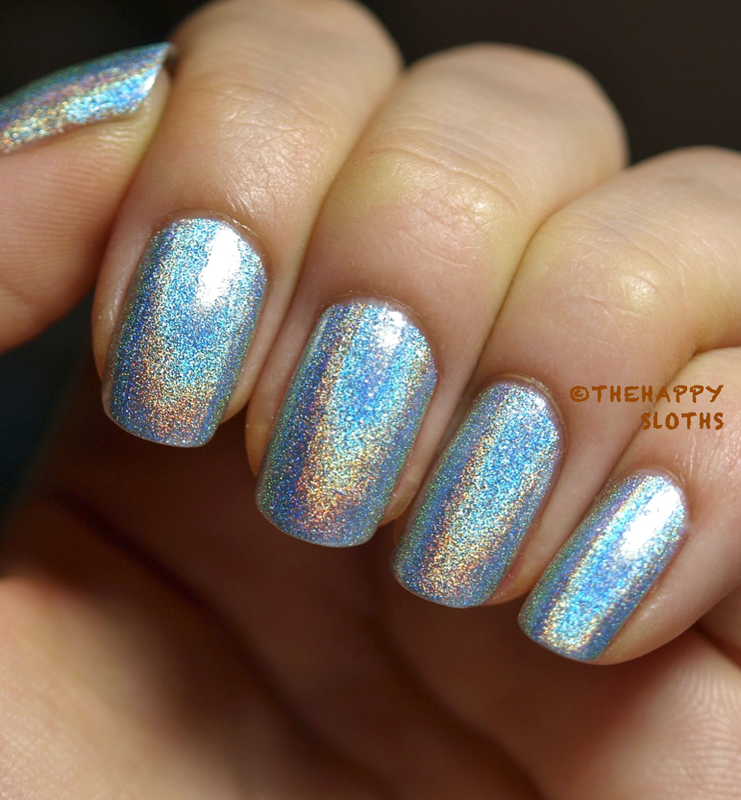 One of my purchases was a holographic polish from Color Club, called "Harp On It". I was deciding between this one and "Worth The Risque"(review from Lizzy) but went with this "Harp On It" instead because I read that it isn't as matte as "Worth The Risque" when dried. So the formula is very fast drying, two coats will provide a solid coverage and the finish is fairly shiny. It is only holographic under very bright light so most of the time it takes on a very futuristic silvery look. I kind of feel like a character from a sci-fi movie when wearing this. I definitely recommend this if you are looking for a classic silver linear holo.